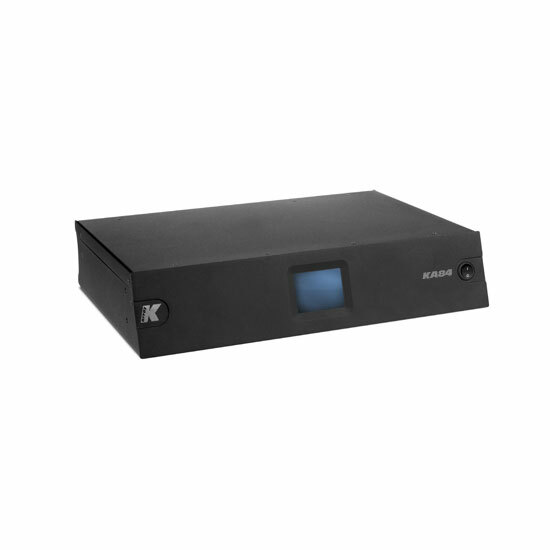 The KA14 is a versatile amplifier, easily adaptable for small applications that do not require a lot of power. Responding to the needs for a simple solution for those who do not have many additional resources, the KA14 is a complete system with a mixer, processor and amplifier. The KA14 features 2 XLR and RCA input to four fully independent and configurable output channels (4 x 300W @ 4Ω). The KA14 can be used as a mixer for fixed installations thanks to the XLR and RCA analog inputs. Kommander-KA14 can be successfully used in a range of different settings and events.